If Microsoft is indeed planning to unveil a new console at E3 2016, it sure isn’t doing a good job of keeping it a secret. On Tuesday, Microsoft slashed $50 off the price of its current generation Xbox One. While not quite a smoking gun, the price cut is indicative of a company looking to move inventory before a new product rollout. 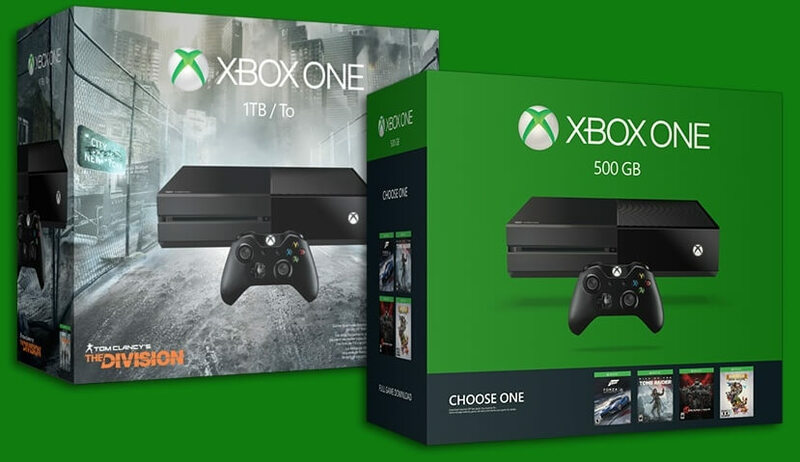 The price cut means you can now pick up an Xbox One with 500GB of storage for $299. Microsoft lists several bundles at that price including the Lego Movie bundle, two different Gears of War bundles, the special edition Quantum Break bundle and the name your game bundle in which you can choose a full game download of either Forza Motorsport 6, Rise of the Tomb Raider, Gears of War: Ultimate Edition or Rare Replay. Other bundles, like the Rainbow Siege bundle, the spring bundle, the triple game bundle and the Rise of the Tomb Raider bundle all come with 1TB of storage space and will set you back $319. For a bit more coin ($349, to be exact), you can get the Kinect bundle with 500GB of storage or the Tom Clancy’s The Division bundle with a 1TB drive. The two high-end bundles, the Elite bundle and the Halo 5: Guardians bundle, now command $449 and $499, respectively. Both include a 1TB hard drive. Microsoft says the offers are only good for a limited time but doesn’t specify any other terms or conditions. If you’re in the market for an Xbox One, the price cut is certainly tempting. Personally, I’d wait until E3 to see what else Microsoft has in store for this year and beyond.